Courses designed and taught at The University of North Carolina at Chapel Hill. 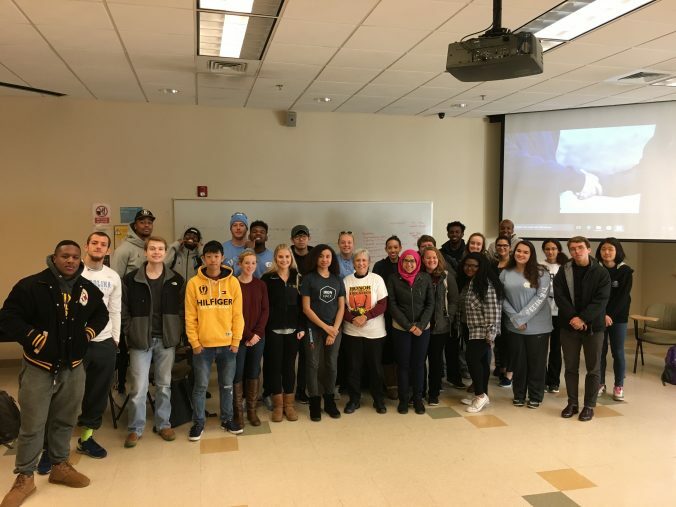 Fall 2016 (26 students) -- A focus on cultural difference through dialogue-centered study of -isms and -phobias, and key approaches to understanding race, gender, sexuality, health status and ability, ethnicity and nation, religious difference, and economic class. Students' research projects, presented to a public audience, profile and propose specific cultural interventions to shift the ways "cultural diversity" can be used to keep status quo inequalities in place, or as an excuse to enact violence. Spring 2014 (20 students, service learning course) -- A focus on ethnography, interview techniques, and service-learning with community members in Rogers Rd. neighborhood who experience environmental racism, zoning inequalities, and water contaminated by municipal waste in Chapel Hill, NC. Students' resulting performance production for the University-hosted Global Africana conference (with interviewees and global water scholars in audience) was devised from original research in NC and study of water rights performances and activism in Ghana, South Africa, and Afro-Columbia. (Co-taught with Professor Joseph Megel). Spring 2014, Spring 2013 (10-20 student seminar) -- A focus on ethnography and interview techniques alongside performance practices focused on peacebuilding/conflict transformation initiatives, and on community-led pursuits of health and justice in global and local contexts. Students' interview projects have included various "peoples' assemblies" at the NC Legislature, and final pubic performances have included interviewees in the audience, and have been hosted by the Jackson Center for Making and Saving History. 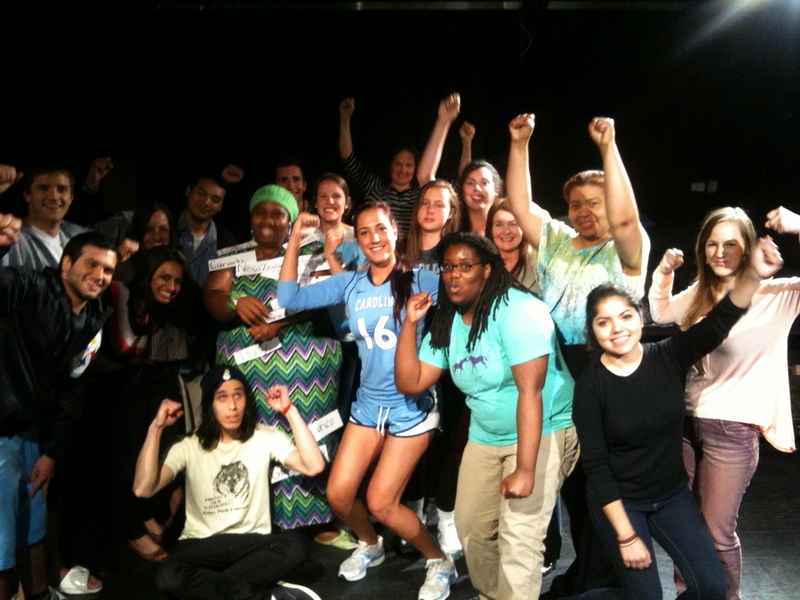 Spring 2015, Fall 2013, Spring 2012 (18-22 student seminar) -- A focus on everyday and extraordinary performance as it responds to, creates, and envisions social change. 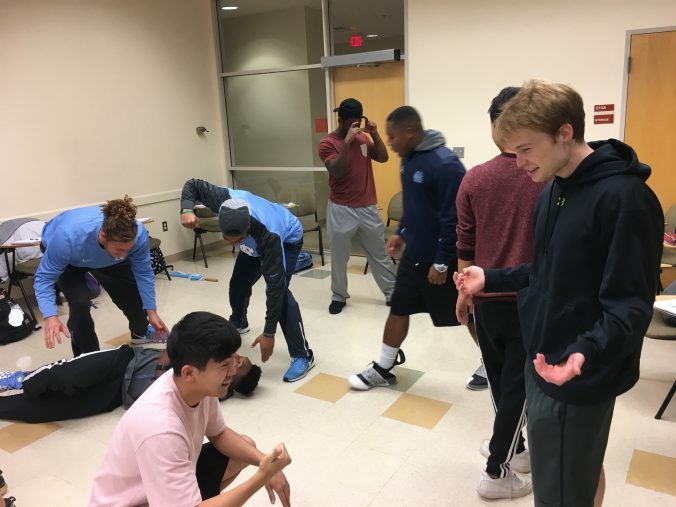 "Profiles in courage" of global and local practitioners and researchers doing performance and social change work, with final research projects presented as live performance interventions in and around UNC campus and town of Chapel Hill (streets/sidewalks, bank and hospital lobbies, cafeterias, historic monuments). 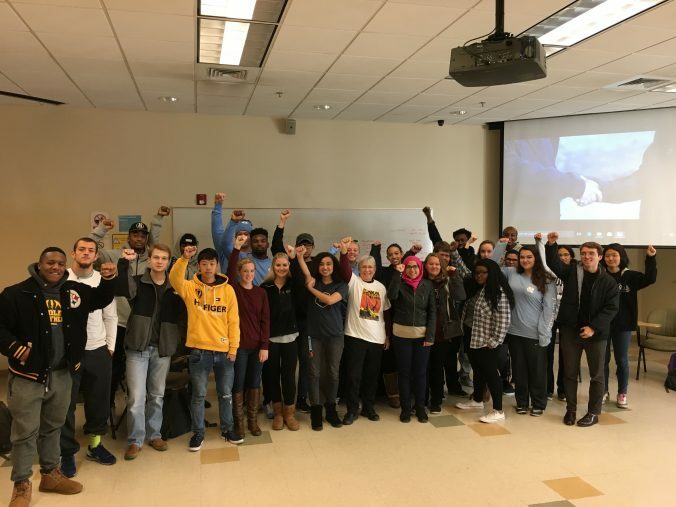 Organizing themes for the course have included Desmond Tutu's body of work in dismantling apartheid, and a tour of U.S. arts and social change projects in "A Beginner's Guide to Community-Based Arts". Spring 2017 (large lecture course, 90 students, co-supervising 3 TAs), and Spring 2019, Fall 2015, Summer 2013, Fall 2012, Fall 2011 (all 18-22 student seminars) -- A focus on performance in its social, cultural, and political contexts; with the opportunity to develop performance projects based on adaptation of literature, oral history performance, and exploration of social roles and critical theory (e.g. engaging race, gender, education and citizenship). Anthologies used include: "Resisting Arrest: poems to stretch the sky"--poems by writers of color responding to U.S. police violence; "When Bullets Begin to Flower"--liberation and anti-imperialism poetry from Mozambique and Angola; "Hafiz" 14th century Sufi Islamic poetry on principles and practices of mysticism, equanimity, and curiosity.